I’ve always loved teaching. What’s amazing is how much more I’m enjoying my job now that I’m trying an EFL approach in my classroom. I find myself chortling at some of the teaching ideas and situations that come up with EFL. Take grammar for instance. I’ve been plugging allow with my students teaching the required grammar lessons. However, I’ve been trying different experiential ways of having the students practice the grammar concepts they are learning. My goal is to engage all the students and their different tools of maturity to make sure that all are learning through their natural inclinations - physical, feeling, will, or intellect. After trying several activities for our grammar lessons the most popular one involved skits. They needed to learn/review the specifics of pronouns. I found an activity that got them up out of their seats, engaged, and taught them to label and identify 1st, 2nd, and 3rd person pronouns. They were divided into groups of 6 to put on a short skit. 2 people could only speak using 1st person pronouns such as I, me mine, we, us, etc. 2 of them could only speak in 2nd person pronouns, you, your, yours. Of course, the last 2 needed to speak in 3rd person using he, she, it, they etc. They loved it! They thoroughly enjoyed performing and coming up with very silly skits which also helped them learn to identify pronouns. It also turns out that symbolism keeps coming up. Ever since the students worked on finding their own personal animal symbol (see Nov. 12 posting) the concept of symbolism keeps working its way into our lessons. As we studied ancient Mesopotamia and the beginning of writing in pictographs and the ancient writing of cuneiform the students began to realized the importance and prevalence of symbolism. Mental ideas from the realm of thoughts were brought into this material world through symbolic pictures that evolved into cuneiform writing on clay tablets in Sumer long ago. Thanks to watching a fellow teacher, David Riordan, I was reminded of this experiential project that I hadn’t done in a long time. The students needed to make their own pictographs or picture symbols and write a message on a clay tablet. I gave the students the recipe for Salt and Flour Clay and the option of extra credit. About two thirds of my students had fun over their week long Thanksgiving break creating a message in their own invented pictographs. One student came to school and told me that he had left his tablet to cool after taking it out of the oven and his dog ate it! His dog really did eat his homework! The last helpful activity I want to mention is the reading of a popular picture book to my classes. Unfortunately, like many other public middle schools we have problems with students being inappropriate and mean to each other. 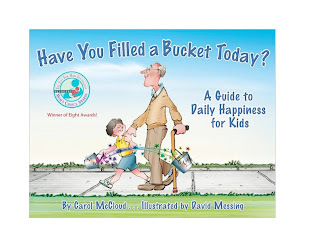 I decided to share with my students the book, Have You Filled a Bucket Today?, which I had seen at the EFL family summer camp in Laurelwood, OR. I’m finding that picture books are a fine literary medium even for middle school students. My sixth graders love having a picture book read to them and this book engaged their heart qualities of caring and kindness. I told them that they could understand and enjoy the concepts in picture books on a deeper and more mature level. 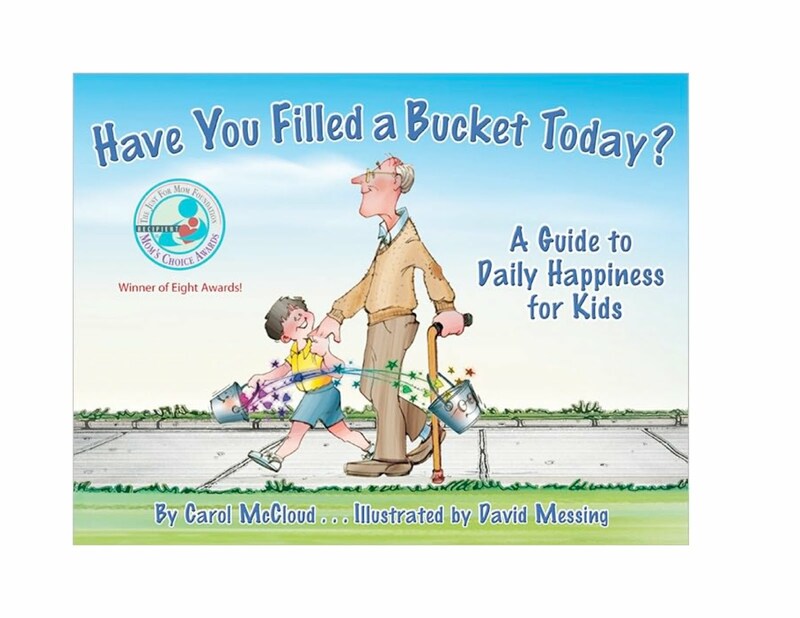 They now know that “filling someone’s bucket” is using symbolism and metaphor for making others feel good through acts of compassion. Their homework was to go out and fill others' “buckets” through kind acts. The next day they wrote about their experiences in their journals and came back with stories to share that reminded us of all the meaningful ways that we can reach out to others and make their day more joyful.